According to the federal Individuals With Disabilities Education Act (IDEA), an orthopedic impairment is defined as a bone-, joint-, or muscle-related disability that is so severe that it negatively affects a child’s educational performance. Causes of orthopedic impairment range from genetic abnormalities (such as those that cause a missing arm or leg) to disorders like cerebral palsy, as well as other issues. Students are typically evaluated by a healthcare professional to determine if they have an orthopedic impairment that will interfere with their academic progress. Medical professionals may also observe the child in the classroom to get a sense of potential problems the student will face. Children may be born with an orthopedic impairment or they may acquire it at some point in life. Hereditary, congenital, and environmental factors can play a role in causing orthopedic impairments that affect the normal functioning of the bones, joints, or muscles. Sometimes orthopedic impairments are called physical disabilities or included in the category of "other health impairments." Students with orthopedic impairments typically have the same cognitive abilities as their peers without disabilities. Because of this, school staff should try to include these students in mainstream classes as much as possible. The IDEA law states that students should be educated in the least restrictive environment when appropriate. The extent to which a child's education is affected due to their impairment varies. Factors such as the type and severity of the impairment play a role. While many students with orthopedic impairment do not have cognitive or learning problems, some may experience related neurological or motor issues that can affect sensory processing, perception, and learning. For example, impairments such as amputations and fractures can impact attendance, making it harder for kids to keep up academically. Other impairments that have accompanying brain involvement such as birth trauma and cerebral palsy may lead to learning difficulties resulting from sensory and cognitive issues. Students with orthopedic impairments will have different physical challenges and therefore require different accommodations. People with orthopedic impairments usually need physical accommodations or assistive technology in school, the workplace, and at home. They have legal rights to this support under the Americans with Disabilities Act (ADA) and Section 504 of the Rehabilitation Act of 1973. Seating: A student may need special seating arrangements to help him with posture and mobility, as moving around the classroom or moving around school hallways may be difficult. Schools may also need to arrange the schedules of these students in a way that prevents them from having to travel long distances from one class to another. Providing elevator access can also help. Technology: They may also need assistive technology devices to help them communicate or lessons that address their disability, such as those that will help them improve their gross and fine motor skills. Devices and technologies that might be utilized may include wheelchairs, specialized desks, canes, crutches, communication software, or speech recognition software. Participation: Physical education classes, in particular, may pose difficulties. Some students with orthopedic impairments will need to be excused from gym class. Other students with mild orthopedic impairments may be able to participate. Behavioral: Teachers in all subject areas should be aware of the impact of an orthopedic disability on a student's behavior in class. Students with these impairments, for example, might get tired more quickly than their peers without orthopedic disabilities. Travel: Children with orthopedic impairments may also face challenges accessing transportation to get to and from school. Federal law, however, requires school districts to provide the transportation necessary to help children with disabilities travel to and from school. Collectively, parents, medical professionals, teachers, counselors, and other school staff can work to provide children with orthopedic disabilities the support they need in the classroom. The child's needs may change over time, and the officials involved in his individualized education plan can make amendments to the plan to accommodate new needs. 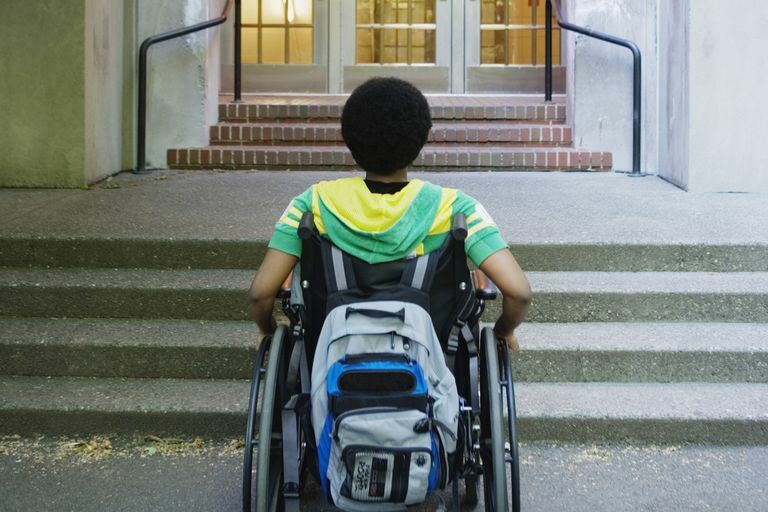 Protecting Students With Disabilities. U.S. Department of Education. https://www2.ed.gov/about/offices/list/ocr/504faq.html.